One half of the cross-country buddy comedy Green Book muses on changing political attitudes in Hollywood. 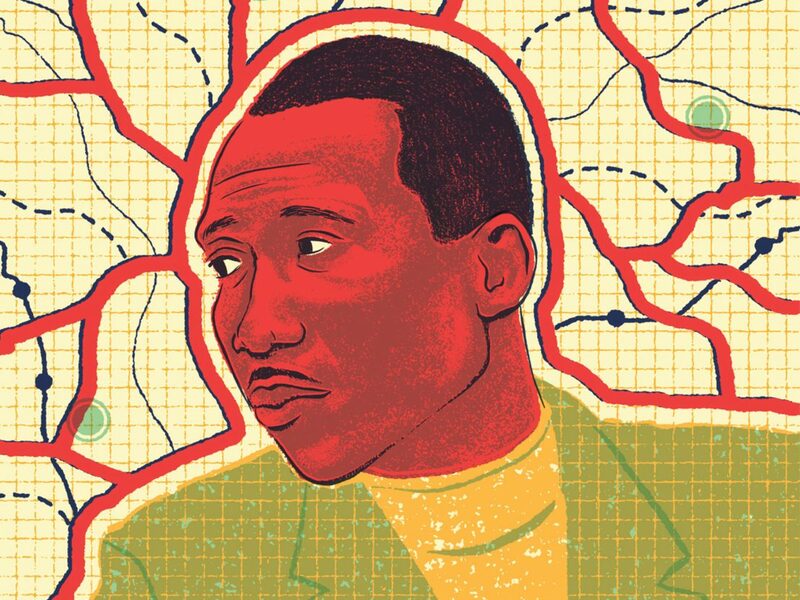 Mahershala Ali may have come to worldwide attention in 2016 with his Oscar-winning role in Moonlight, but he’d been grafting away for over a decade with minor roles in television and film, before finally breaking through in 2013 as slick lobbyist Remy Danton in House of Cards. He’s back on TV screens in the third season of True Detective, but in Green Book, his first major film role since Moonlight, Ali plays Dr Don Shirley, a concert pianist who, in 1962, hires Viggo Mortenson’s blue-collar bouncer, Tony “Lip”, to act as his driver and fixer on a tour of the Deep South. In the unexpected hands of director Peter Farrelly (better known for broad comedies like There’s Something About Mary and Dumb and Dumber) it’s an odd-couple crowd-pleaser that will no doubt see Ali back on the awards trail this year. LWLies: You must have been sent hundreds of scripts after Moonlight. How do you begin reading a project? What’s the first thing you look for? Ali: For me there’s three types of scripts. There’s the ones that you can’t get past page 30. There’s the ones you get past 30 and you’re wanting it to work, like the premise is good, the character might be great, but it just wasn’t executed well and the third act falls apart, or whatever. Then the third is the one that just pops. And for me, when I can hear and feel that character’s rhythm and sort of find that voice in that first reading, that’s something that I want to engage in further. That happened with Green Book. It was the first script I’d read in a long time where I laughed out loud. In part because of how well it was structured, but sometimes because of the inappropriateness of some of [it], like knowing you’re walking a real fine line with this [fried] chicken scene… I think and hope we lived up to how well it was written. There’s an increasing public awareness not just of the stories we tell, but who tells them and from which perspective. Is that something you think about when considering a project? I think that all those issues have their place because there’s been a long systematic diminishing of voices of colour, and now we’re living in a time where there are people empowered enough to say, ‘Hey, people of colour have to have their place in these stories,’ in front and behind the camera. But I think it’s easy to just slap that sticker on anything that has a black person in it that a black person didn’t direct or write, and sometimes it’s not necessarily appropriate. This story is told from the perspective of Tony “Lip”, and [writer] Nick Vallelonga was doing a story about an incredible journey that his father had, and in doing so you absolutely have to go into Dr Shirley’s story. So if you’re in [Nick’s] position, what do you do? Do you give up your contribution to the story and say there’s a black guy in it, here take the whole story? What I appreciate so much about Pete doing it is that he was so willing to listen and was so humble about it. He went to Octavia [Spencer] and wanted her input, and came to me and was very, very sensitive about my voice and my opinion, and I know that had an effect on the story. So as long as someone is really open to your feedback, which was not my experience early on in television, coming up and saying, ‘I wouldn’t say this,’ or, ’I wouldn’t wear this,’ and they were like, ‘Yeah you would’, [or] ‘You’re gonna wear it anyway or do it anyway’… This was a very different experience, where I was listened to and I feel like it had some sort of impression and effect on the story. What was it like working with Viggo? We met at an Oscar bruncheon a few weeks before the Oscars and we really connected. I think there were just a few people around and Viggo and I kinda locked onto each other and started talking and the next thing you know no one else was around… I was just thrilled by the organic connection we had and I really admired him, both as a person and an artist. He’s one of the best actors in the world, and now I’ve had this experience of working closely with him. A lot of the time it was just he and I at work all day for two weeks straight. So just to be in that masterclass and to be challenged in that way was really inspiring. In what way did he challenge you? I think his specificity. There are things that he does take after take that you would never notice, but those are real, conscious choices. When the arm goes up on the back of the chair or when you turn around and deliver a thought, how clothes are worn… There’s such a heightened attention to detail that was all in service of the story or the character. It wasn’t just indulgent. And how did you find yourself responding to that? I think a place where my meticulous nature can find space to breathe – and for it not to be a distraction, but something that makes a contribution to something larger than myself – is a real gift for my personality. So finally seeing an example of that [way of working], and being in such close proximity to it felt like it gave me permission to go deeper into how I personally work. It was an experience I’m very grateful for, because I took that with me. I started True Detective a week later and that three months with Viggo kind of set me up to take a certain approach to the work that I felt really justified in because of my time with him. 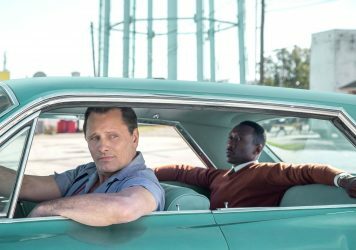 Green Book is released 1 February. Read the LWLies review. Viggo Mortensen and Mahershala Ali embark on a tour of the Jim Crow south in Peter Farrelly’s crowd-pleasing buddy comedy. 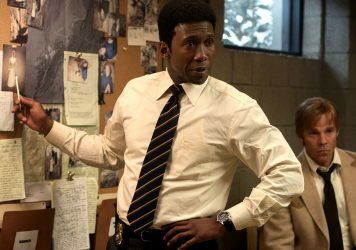 Series creator Nic Pizzolatto hopes to recapture that debut magic, and he’s found the perfect man for the job.